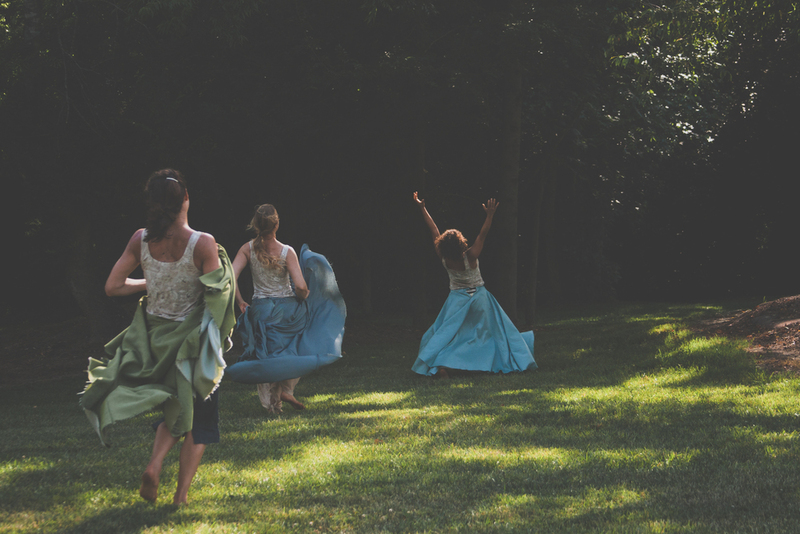 Now based in Burlington Vermont, Hanna is the current director of the Vermont Dance Alliance (vermontdance.org), with a strong belief that the culture of dance will continue to flourish and expand throughout the edges of our beautiful state. In addition, Hanna teaches, choreographs and performs on freelance basis. Find out more at hannasatt.wordpress.com. Jessie Owens is the founder of Ergo Movement, a collaborative performance project based in Burlington, Vermont. She holds a BA in Dance from Smith College, where she attended as an Ada Comstock, or non-traditional scholar. I'm interested in: what defines a body? How do our bodies relate us - to each other, the world? My training and experience includes a wide breadth of contemporary, improvisational, and adaptive styles, with a childhood foundation in ballet, jazz, and modern dance. I have studied with integrated companies such as AXIS Dance, Stopgap, Candoco, as well as individual teachers, choreographers, and experienced performance mentors. My performance history ranges from yoga studios in small Vermont towns to Danspace St Mark's in New York City to festivals in the UK and Germany. I am available to teach - dance topics, adaptive strategies, and more; to perform; or to engage in the creation of new work. Mireya finds a great source of gratification in the ever-evolving process of investigation in contemporary dance. That’s why it is still her favorite modality of self-discovery and expression. She has experienced dance in various dance communities in Ecuador and the US, where she has collaborated in many projects with talented artists and friends as a performer and choreographer. Mireya was born and raised in Quito, Ecuador. Returning to dance after a long hiatus, Jen has thrown herself into the deep end and is reveling in the magic of moving. Healer, Frequency Channel & Energy Medicine Practitioner in pure service to all of creation and facilitates workshops, classes, group & private sound healing sessions, childrens programs & all manner of sacred business. Nicole Colella studied fine arts at the Art Institute of Boston. She has worked on numerous collaborations with artists, dancers and musicians in the Boston area. Currently Nicole is a Preschool teacher, where she uses her passion for the arts and her love of collaboration to inspire young children.